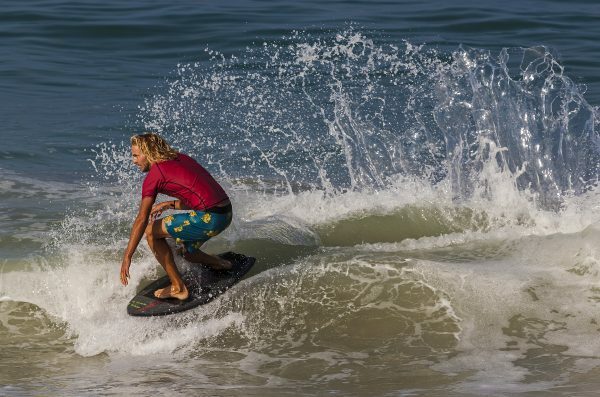 The 42nd Annual The Vic Skimboarding World Championships took place at Aliso Beach this past weekend, with some locals earning top marks. Blair Conklin, of Laguna Beach, came out victorious for a second year in a row in the Pro Men division. Amber Torrealba, a Florida native now based in Laguna, won the Pro Women division. Amanda Fierro, of New Jersey, claimed the Amateur Women title. To view the full list of results, visit www.thevic.victoriaskimboards.com/2018-heats/.